Manufactured By – Warner Bros. Records Of Canada, Ltd. Distributed By – Warner Bros. Records Of Canada, Ltd.
"Manufactured And Distrubuted In Canada By Warner Bros. Records Of Canada Ltd., A Subsidiary and Licensee Of Warner Bros. Records Inc." at the bottom of the left inside of the gatefold all in CAPS. Olive green labels. 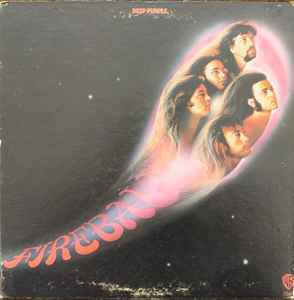 Some differences with Deep Purple - Fireball: 1) the text "Prod. by Deep Purple for Edwards Coletta Productions" takes up two lines instead of one; 2) the text "℗ 1971" is lacking, 3) the text circling the bottom refers to different manufacturers/distributors and 4) the alignment of the text "All selections [...] Glover-Lord-Paice" is different.